While the previous two Thor movies featured a lot of Earth, Thor: Ragnarok is not expected to spend as much time on Thor’s favorite world in favor of traveling around other areas of the Nine Realms. While that doesn’t mean the movie will be entirely without humans, there aren't expected to be as many of them compared to the God of Thunder’s previous adventures. 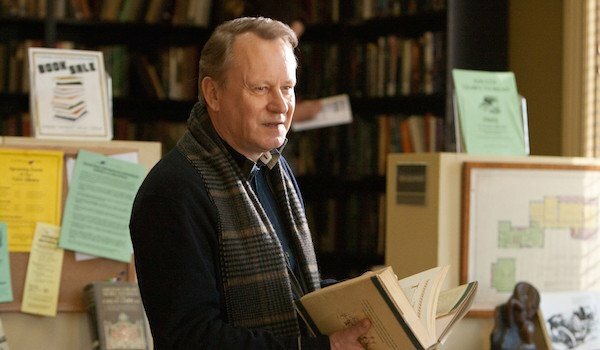 Case in point, Stellan Skarsgård, who plays Dr. Erik Selvig, won’t return for the third installment. I have a five-film deal with them, and they still have one option. … Thor 3 is not on my slate, but maybe the next Avengers. Like most of Marvel’s major actors, Stellen Skarsgård signed a multi-movie contract when he took the Erik Selvig role, and with four movies down, it looks like Marvel wants to save his last appearance for something else. Considering how minor his presence was in Avengers: Age of Ultron, maybe it would have been better to leave him out of that movie and save him for a more substantial role in Thor: Ragnarok, but hey, hindsight is 20/20. Considering how many characters are expected to be in the Avengers: Infinity War movies, it won’t be surprising to see him participate. Erik Selvig was introduced in Thor as one of the world’s top astrophysicists and mentor to Jane Foster. After meeting Thor and learning that the Asgardian gods were real, he was recruited by S.H.I.E.L.D. to study the Tesseract, later revealed to be the Space Stone. This led to him being brainwashed by Loki in The Avengers in order to help create the portal for the Chitauri army to come through. Although freed from Loki’s control, Selvig went slightly insane in Thor: The Dark World, though he was still lucid and brilliant. He was last seen accompanying Thor to the Water of Sights in Avengers: Age of Ultron and later at the New Avengers facility, so it appears he’s splitting his time between teaching university students and helping out Earth’s Mightiest Heroes. As far as humans go, the only person who’s been officially confirmed for Thor: Ragnarok is Bruce Banner/The Hulk, although Samuel L. Jackson is reportedly reprising Nick Fury as well. Other characters expected to return include Loki, Heimdall, Lady Sif, and possibly Odin. Cate Blanchett has also been cast as the movie’s main antagonist, Hela, ruler of Hel and Niffelheim. Directed by Taika Waititi, Thor: Ragnarok storms into theaters on November 3, 2017.